Just as “green” measures protect our environment, the Federal Trade Commission (FTC) is working to protect consumers from deceptive green advertising and marketing claims. The FTC hopes to accomplish this goal by updating its Guides for the Use of Environmental Marketing Claims, which is often referred to as the “green guides.” Originally released two decades ago and last updated in 1998, the green advertising guides were developed to help advertisers and marketers avoid making misleading, confusing, or far-reaching ecological claims without verification or qualification. Now that a growing number of companies are manufacturing and marketing greener products, it’s more important than ever to provide them with guidance on making honest, proven, and clear advertising claims about the ecological benefits of the brand to consumers. Adweek.com reported on how the FTC is striving to keep companies consumer friendly about being environmentally friendly. The increase in companies producing ecologically minded products may be attributed to the jump in consumers purchasing them. A 2009 Green Seal study showed that 82 percent of consumers were buying green goods and that amount has steadily risen ever since. This strong consumer demand for environmentally sound items has led all kinds of companies to position and promote their products as better for the environment. Unfortunately, these claims are not always completely true. The updated green guides amend and simplify sections of the previous version to offer direction on certain claims that were uncommon during development of the last revision. These topics range from the proper use of green certificates to claims regarding renewable materials. The guides describe how consumers and the FTC may misconstrue ecological claims that could result in the agency pursuing deceptive advertising enforcement upon a company. The new guides come at a time when the FTC us stepping up its crackdown efforts on companies making deceptive green claims. Marketers are quickly realizing that these misleading claims will no longer be tolerated and are seeking a source of good green advertising guidance. To learn more about incorporating green advertising into your marketing strategy, contact MDG Advertising. At MDG Advertising, a full-service South Florida advertising firm with offices in Boca Raton and New York, NY, our 360° marketing approach uses just the right mix of traditional and online media to reach your green advertising goals. While some industries may fare better in print and others online, we strive to create a balanced approach where traditional and digital marketing efforts support each other and your marketing message is tailored to the medium. 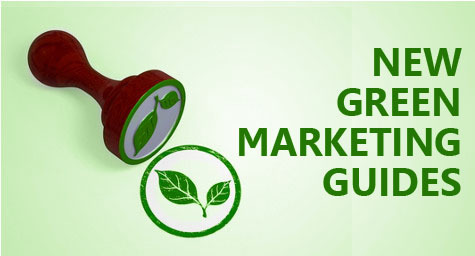 To stay on top of the latest trends in green advertising, contact MDG Advertising.